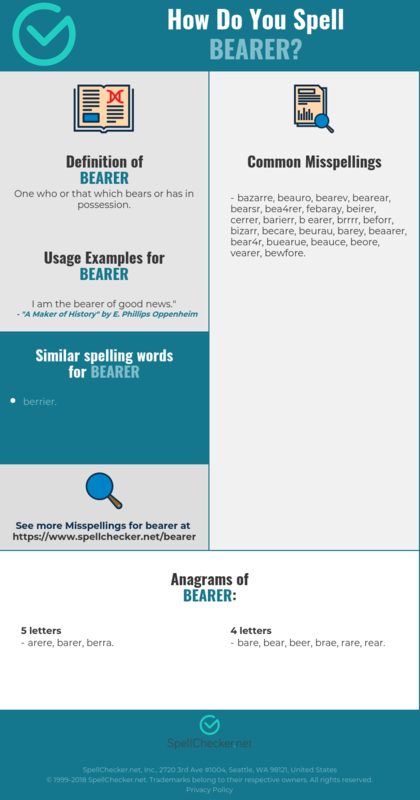 How Do You Spell BEARER? Correct spelling for the English word "bearer" is [b_ˈeə_ɹ_ə], [bˈe͡əɹə], [bˈe‍əɹə]] (IPA phonetic alphabet). 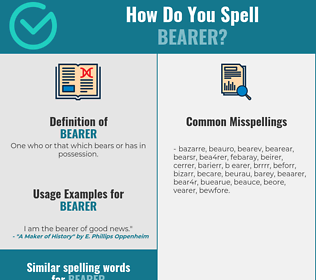 Below is the list of 333 misspellings for the word "bearer". One who or that which bears or has in possession.